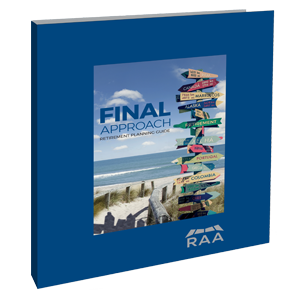 Over 30 years ago, the founders of RAA saw the need to provide highly specialized financial services to their colleagues in the airline community. At the time, there were many financial advisory firms to choose from, but none that focused on the unique needs, desires, and challenges that come with a life spent flying the line. The thought was that if we could provide financial services that were tailored to the needs of those pilots, we would make a lasting impact on the lives of our colleagues. Fast-forward to today, and that original mission still forms the backbone of our work. Our purpose is to be both your partner and your guide; allowing you to confidently make decisions today, no matter what this crazy world brings tomorrow. We are committed to becoming your personal guide. Sure, it’s a professional relationship, but your money is deeply personal. It is intertwined with your hopes and dreams, your desires for your children and grandchildren, and your desire to live life on your terms. In our conversations, you will be heard and understood. Together, we will develop a plan that looks at where you are today and takes you to that place you want to be in the future. Our entire approach to financial services is built around the needs, concerns, and desires of the airline community. Serving our friends and colleagues in the airline community is why we are in the business, but how we carry on this legacy is just as important. Three core values drive every interaction we have with our clients, and every decision we make as a firm. We serve others by developing meaningful relationships with our clients and passionately serving those who place their trust in us. This means that we communicate with you and your spouse regularly about your investment accounts and answer questions using straight talk. We understand your unique circumstances, build customized solutions to address your biggest challenges, and will never take a one-size-fits-all approach to your financial future. We act responsibly by putting our clients’ best interests first, and we ensure that ethics in business always comes before profits. If we recommend a service or strategy, it is because our team is certain that it is in the best interest of you, your family, and your estate. We are fee-based advisors who never take commission checks for recommending the “latest and greatest” investment product on the market. We strive to deliver excellence, and while it is common for other financial firms to put a stamp of excellence on their services, we have taken a different approach. We believe that it is not up to us, but to our clients, to determine whether we have achieved excellence. So, how are we doing when it comes to client service? We are proud to report that as of February 2018, over 1,000 of our clients have been with RAA for 15 years or longer since selecting us to handle their financial planning needs. Along with members of the airline industry, our team is also made up of experienced financial planners, estate planners, investment professionals, tax specialists, and operational specialists. You deserve a team who understands both where you are now and your goals for the future, and who can build a plan with those factors at its core. Between our financial expertise and our airline-industry DNA, you’ll have a hard time finding a firm that knows more about what matters to you than RAA. In the United States, there are over 300,000 individual advisors.1 We would love to say that most of these advisors aren’t very good at their jobs, but that’s simply not the case. For doctors, lawyers, and other professionals seeking financial advice, many of these advisors can provide excellent investment management and financial planning services. However, we understand that you aren’t just another professional seeking financial advice, you are an airline pilot with a unique set of benefits, risks, and timelines associated with your career. Our firm is different because our entire approach to financial services is built around the needs, concerns, and desires of the airline community. Throughout our organization, pilots and former airline employees make up our ranks, in addition to Certified Financial Planners®, Chartered Retirement Planning Counselors®, estate planning experts, tax planners, and a highly experienced investments team. Together, we’ve been serving the airline community since Ronald Reagan was in office. That statement might date us, but the reality is that, like you, we have more than a few takeoffs and landings under our belts. 1Information obtained from Cerulli Associates report titled “U.S. Advisor Metrics 2016.” Cerulli Associates is an independent third party and is not associated with RAA. 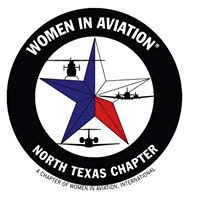 We proudly support these outstanding organizations and members of the aviation community. Request the guide to find out how prepared you are for retirement. Don’t retire without it.